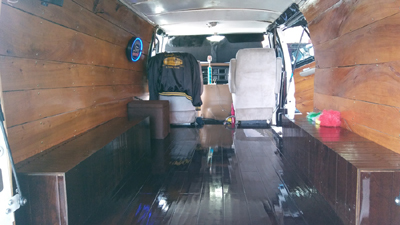 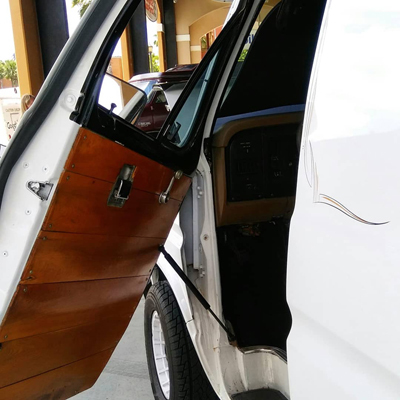 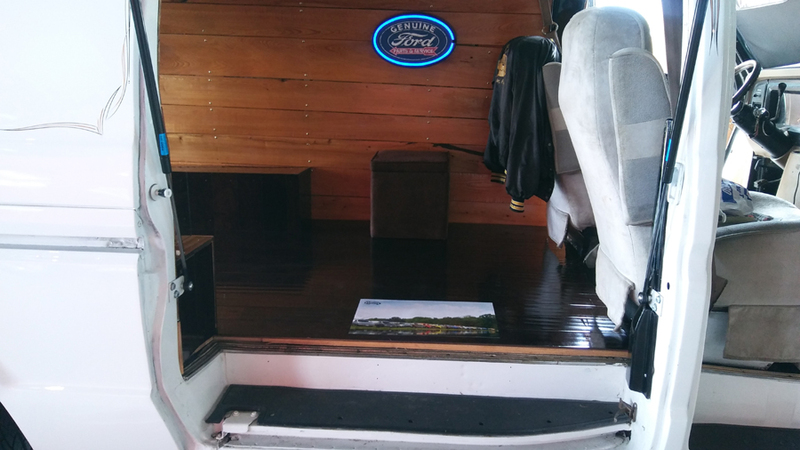 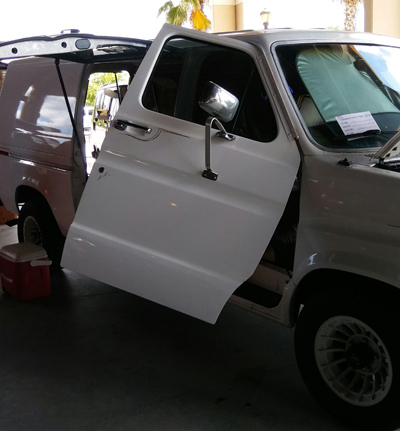 Vanborghini is a one of a kind custom built 1990 Ford E150. Sporting a 302 with auto transmission and factory air. Konehead has owned the van for about 3 years. 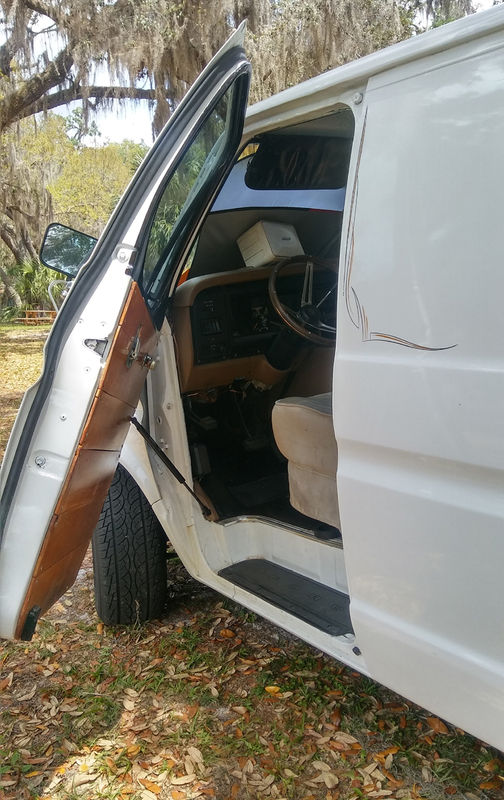 Now that it is no longer used as a work van, the fun times have begun. 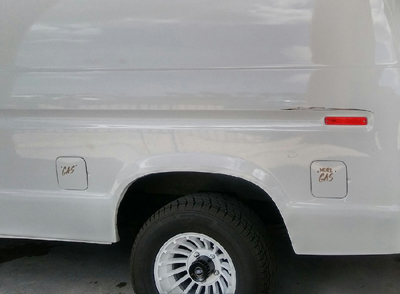 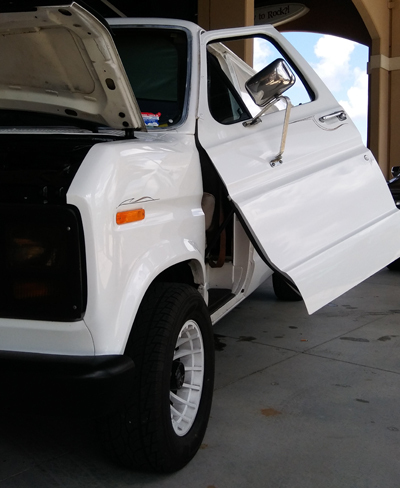 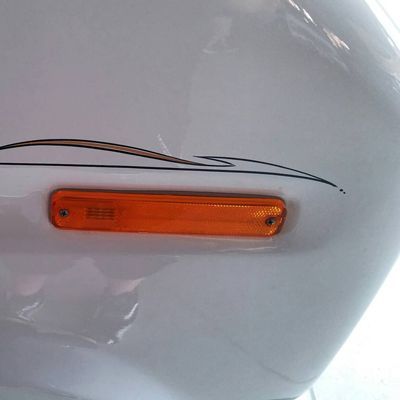 Pinstriping has been added around the exterior of the van. 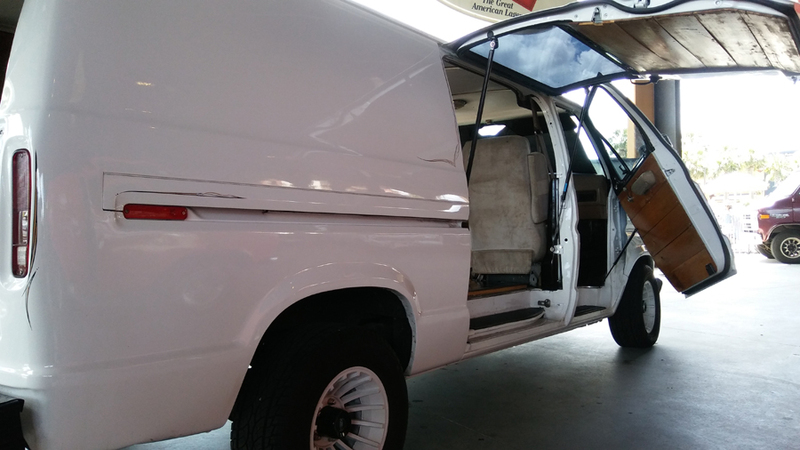 Vanborghini sits on big 60 series tires mounted on all four of the cyclone wheels. 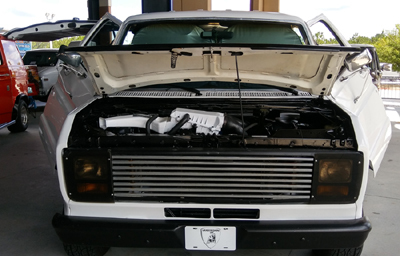 A custom grille and headlight covers really bring the front end together nicely. The factory steel doors have been customized by Joe Van. 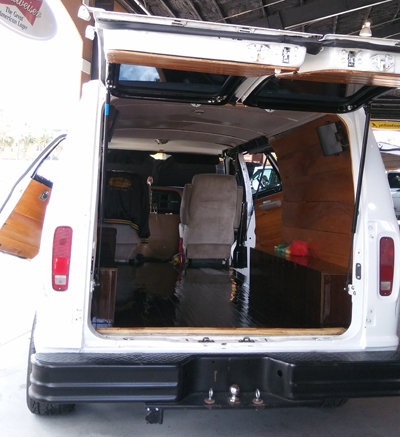 The interior features a simple clean look. 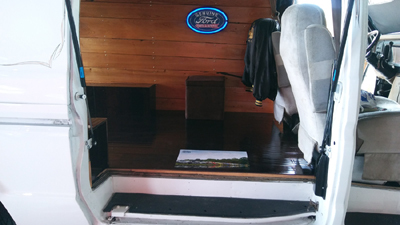 With cypress wood walls and maple wood floors. 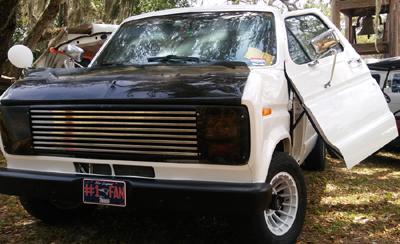 Keep an eye out for Vanborghini coming to a van show near you.